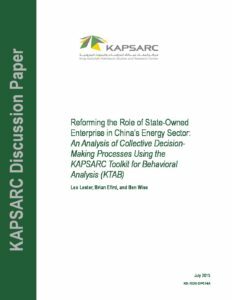 This page provides free access to KAPSARC’s data and research tools, to advance the understanding of energy economics and environment policy. It contains over 1000 machine-readable (API ready), model-ready data sets, 3000 indicators and over 30 million records. This platform contains open source software and models fully licensed for public use. 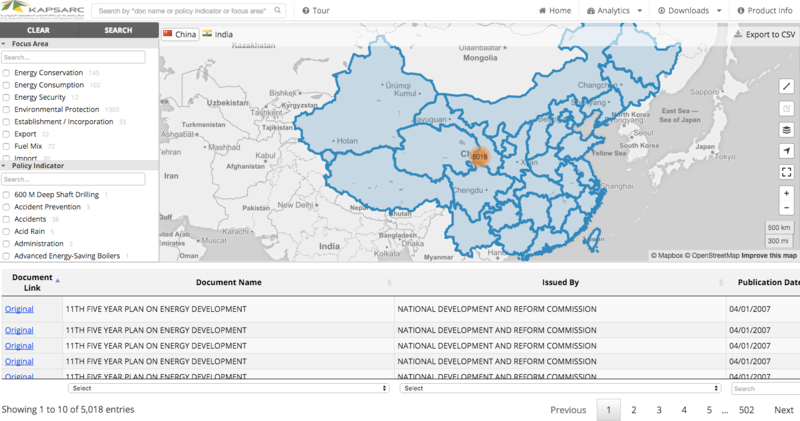 It also offers hundreds of energy data sets gathered from 175 data sources, 50 of which are regional. Each data set shows the source, data use license and the timestamp of its last update on its information tab. We check the validity of each regularly updated data set at least every 45 days. 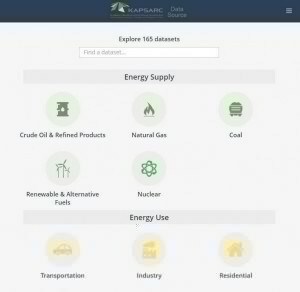 The KAPSARC Energy Data Portal is available to anyone seeking energy data for research. 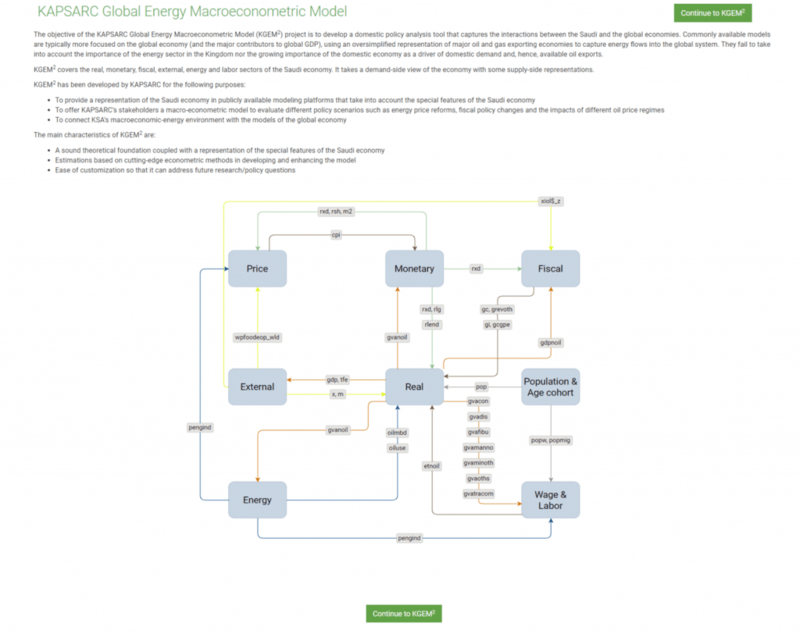 It is designed to enable users to better understand energy, including energy economics and energy policies. 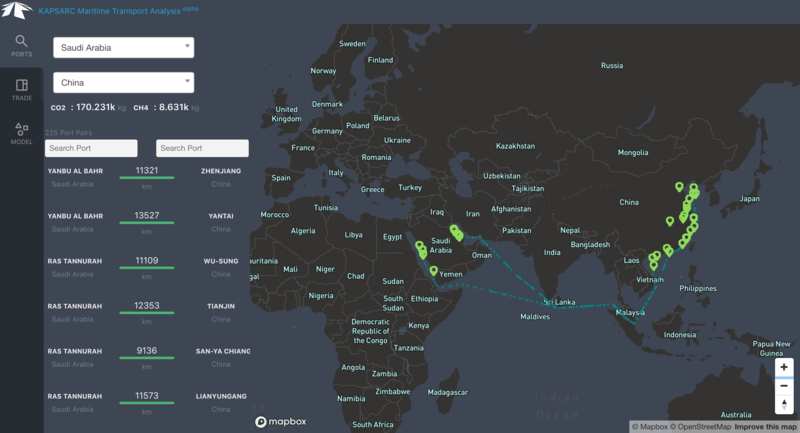 The portal is updated regularly to include new data sets with the aim of expanding the scope of coverage as well as keeping the information current. Data sets can currently be exported in CSV, JSON, EXCEL formats or accessed using API for use in mobile and web applications. 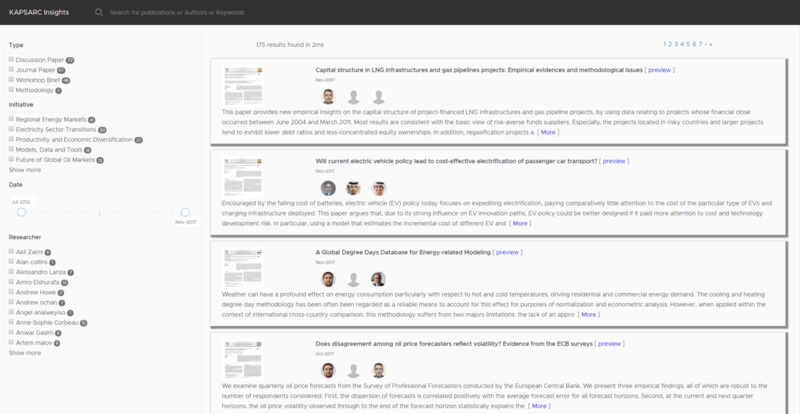 This application allows users to access and download key insights and publications. 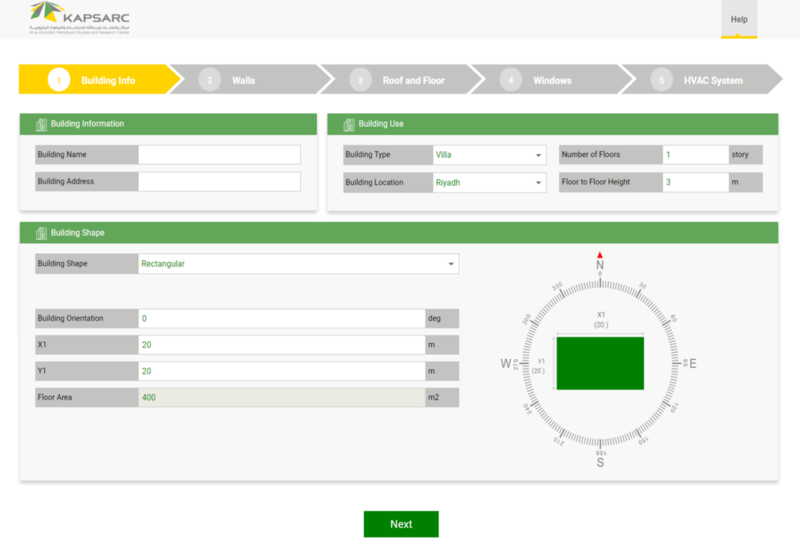 The KAPSARC Building Energy Assessment Tool is a web-based energy analysis tool designed to assist users in improving the energy efficiency of residential buildings. 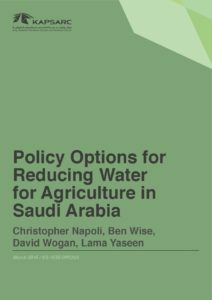 A domestic policy analysis tool that captures the interactions between Saudi Arabia and other global economies. 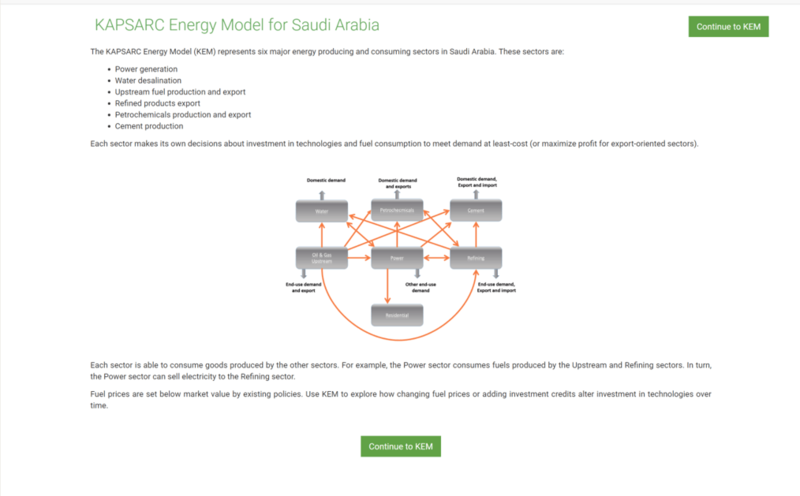 The KAPSARC Energy Model for Saudi Arabia is a partial economic equilibrium model that represents six major energy producing and consuming sectors in Saudi Arabia. These sectors are electric power, petrochemicals, refining, water desalination, upstream oil and gas, and cement. A scenario-based model to help policymakers explore the incremental user cost implications of different passenger car powertrain technologies. 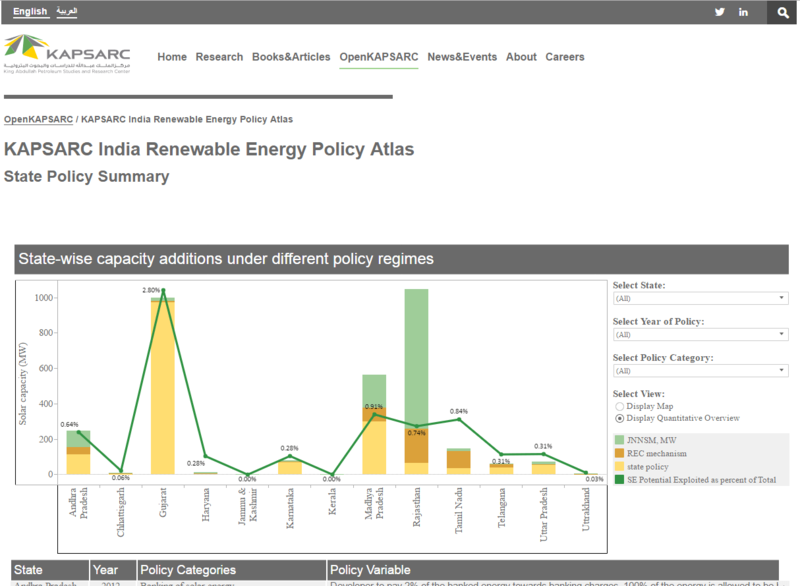 KAPSARC’s India Renewable Energy Policy Atlas provides specific state and national level coverage of energy policies in India. 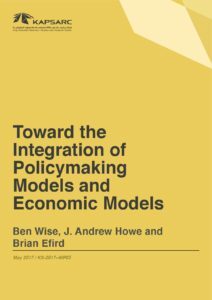 It presents a policy landscape covering many geographies within India to gain holistic and comparative insights into policy frameworks. 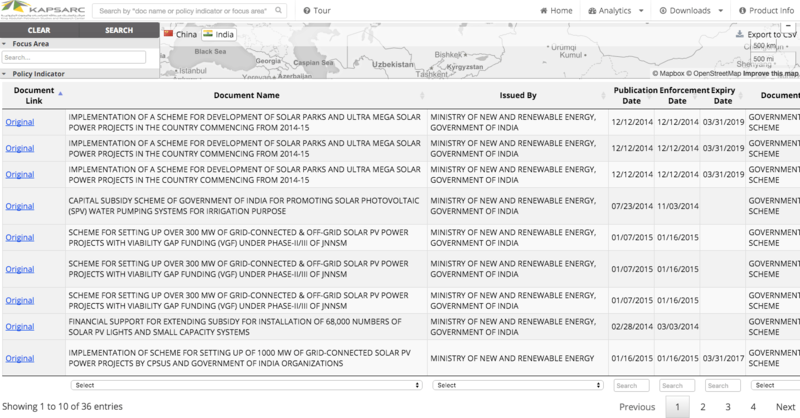 This toolkit presents interactive data on capital costs and levelized cost of energy for solar photovoltaic technology by year and country. Data quality plays a vital role in research and predictive analytics. 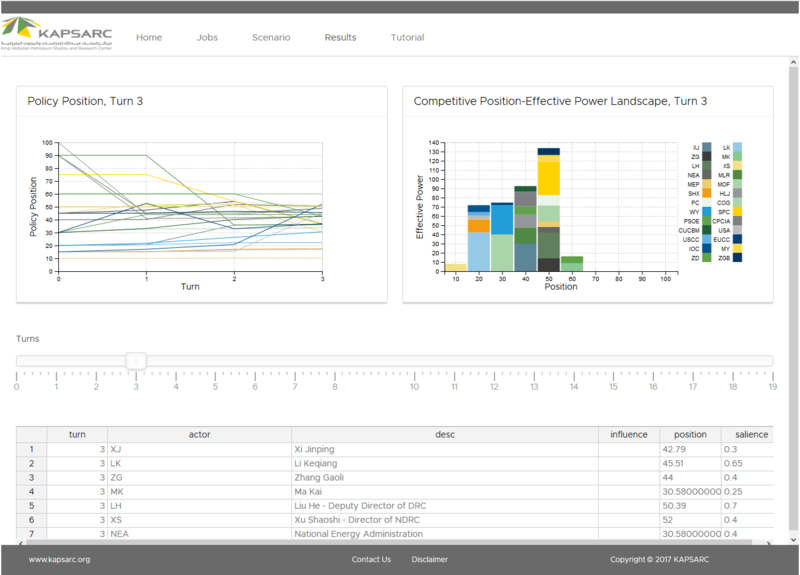 Ferret (an interactive computer visualization and analysis environment) can be used to perform several basic data management functions of structured and unstructured data to prepare the data before developing models. 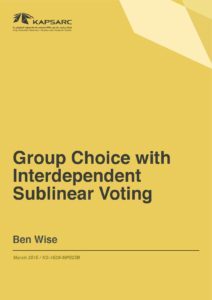 This tool provides working notes and a high-level description of an embedded domain specific language (EDSL) for modeling the microstructure of electricity markets. 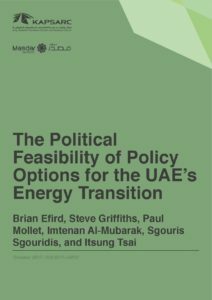 The primary goal of an energy auction is to achieve the lowest-cost dispatch of generated electricity that balances supply and demand while minimizing transmission congestion and system contingency management costs. Auction mechanisms should be open, transparent, and competitive. A collection of Jupyter notebooks demonstrating how blockchain technologies could improve electricity market design. 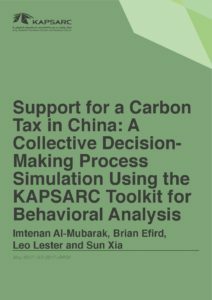 This tool combines a TensorFlow-based neural network with a KAPSARC Toolkit for Behavioral Analysis-style collective decision-making process. Specifically, it provides an initial (non-iterated) central position calculation. The Pecan data retriever is a Python application programming interface for the Pecan Street Dataport. 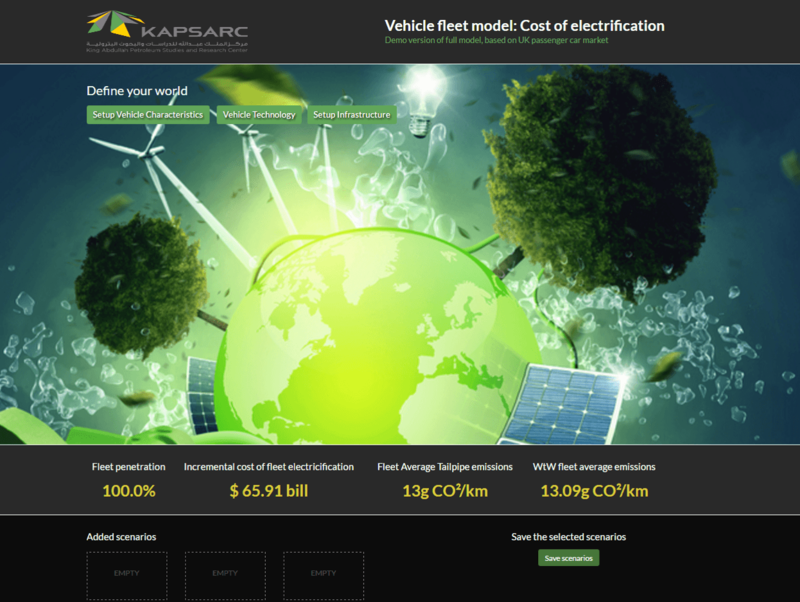 The KAPSARC Building Energy Assessment Tool (K-BEAT) is a web-based energy analysis tool designed to assist users in improving the energy efficiency of residential buildings. 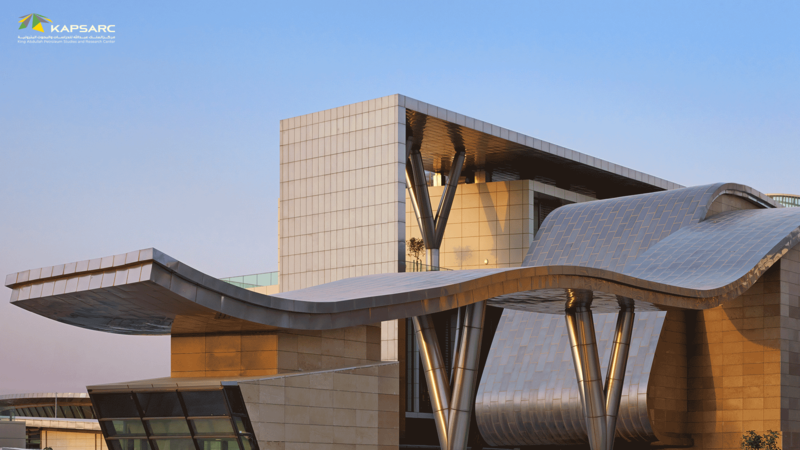 KAPSARC research, including recent work on energy productivity in buildings, has indicated that there is significant potential for reducing energy consumption and demand in new and existing buildings in the Kingdom of Saudi Arabia. K-BEAT can assist in identifying the specific energy efficiency measures and technologies suitable for individual buildings in various regions in Saudi Arabia. 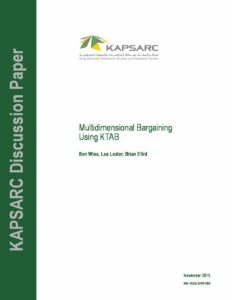 The KAPSARC Toolkit for Behavioral Analysis (KTAB) is an open-source toolkit for assembling agent-based models of negotiation and bargaining. 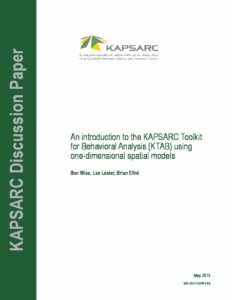 Research from KTAB is available from OpenKAPSARC, and further information on the Toolkit is available here.